The harbour city of Valletta -- the diminutive capital of the Mediterranean island nation of Malta -- has been described as an open-air museum. But, as well as being a World Heritage site, it is much more than just a historic vestige, as its vast array of entertainment venues, shops, restaurants, quaint cafes and wine bars are enough to cater to a whole host of traveller’s pleasures. If you’re looking to avoid the crowds – and save yourself a bit of money at the same time – the balmy months of April to June and September to October should be your main area of focus. If you choose April, you’ll even be around for the Malta Fireworks Festival. With the Film Festival, Għanafest, high-profile dance music events, and Malta Arts and Jazz festivals, the summer months of June and July are hot, lively and more pricey. To get you up-to-speed quickly, the excellent (though not cheap) Malta Experience provides a comprehensive introduction to the country through major cultural and historic events. 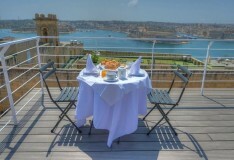 For jaw-dropping views of the Grand Habour, choose a day where the clouds are nowhere to be seen, grab a pack of refreshments and head to the The Upper Barrakka Gardens. To take in some of the local architectural feats, the two gigantic ‘suspended’ stones that make up the Parliament Building should be seen and while St. John's Co Cathedral may seem somewhat commonplace on the exterior, the inside’s ornate craftmanship is something to be behold. Despite being a peninsula, and therefore surrounded by the Mediterranean Sea, there’s not much by the way of sand for you to plop yourself down upon and soak up some rays. There are a few spots that the locals head to whenever they want a cooling dip but, given the fact that both sides of the capital are used as a harbour, they’re neither the safest nor the cleanest places to swim. For a cheap bite on-the-go, the traditional bakeries you can find in many a nook and cranny around town are a great option. For more romantic settings and food served on a plate, De Robertis offers fantastic food and incredible views. The Pintonino Restaurant, situated right atop the Valletta waterfront, is also a fine restaurant and houses a selection of 150+ wines. The cluster of bars found on the narrow Strait Street are the best options where nightlife is concerned, though there are plenty of other places tucked away in various side streets. You’ll find live entertainment, clubs, a cosy British pub (aptly named “The Pub”) and Trabuxu Wine Bar – a charming establishment huddled inside a stone vaulted cellar which is 400-years-old. 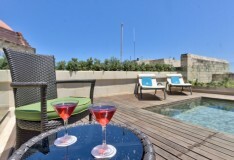 Referred to locally as Il-Belt (which means "The City"), Valletta was one of the very first UNESCO World Heritage sites. The tiny peninsula (just 1km x 600m) preserves much of its architectural heritage and elegance from the time when it was built, by the Knights of St John, in the 16th Century. The Valletta Small-Group Walking Tour will use the 3-hour running time to take you on a visit to the main highlights of the capital, as well as showing you some parts that most tourists skip over. To cut that time in half, and save your weary legs the effort, you could instead opt for the Valletta Segway Tour. 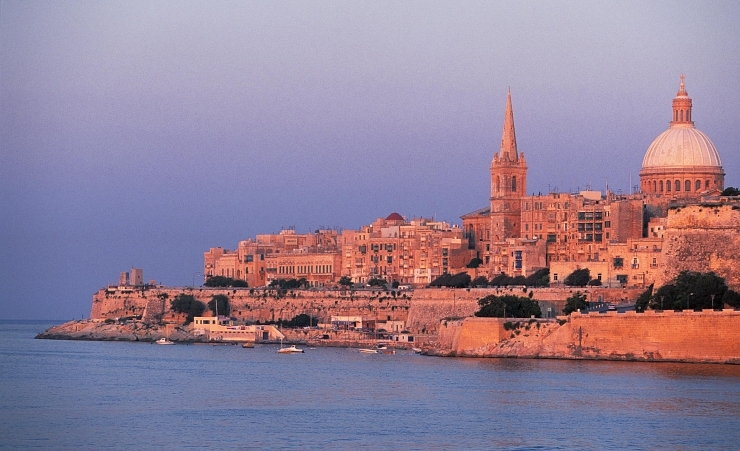 Simply hop aboard your Segway and follow your guide throughout the streets of Valletta…. a truly 21st Century tour option! Given its compact size, the ideal way of getting around is on foot. But, due to the fact that the city is built on a ridge, the steep areas may be challenging for some. In such circumstances, there is a circular bus route (Bus 133) which is a good way to get around and also offers some great sights. There are one-way streets which permit the use of driving around the city.